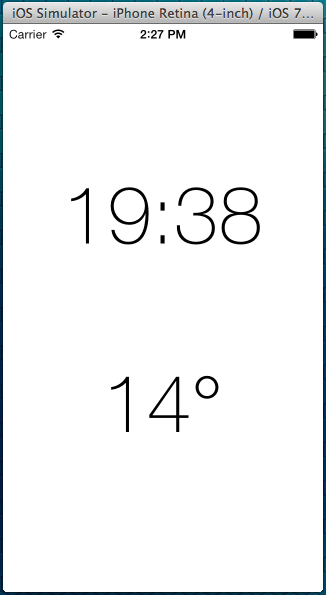 I am currently redesigning Routie for iOS 7, and I wanted to display big numbers using the same font as in iOS 7 weather app and lock screen. I was quite surprised that with a quick search on Google, I wasn’t able to find the actual name of the font anywhere. So I went ahead and watched the ‘Using fonts with Text Kit’ WWDC session, and as expected, I found the answer there (not explicitly, but it pointed me to the right direction). So the font name is.. HelveticaNeue-Thin! How do I use it in my app? It’s easy, just set the label’s font using the following line of code.